Would you like some more comics with those comics? 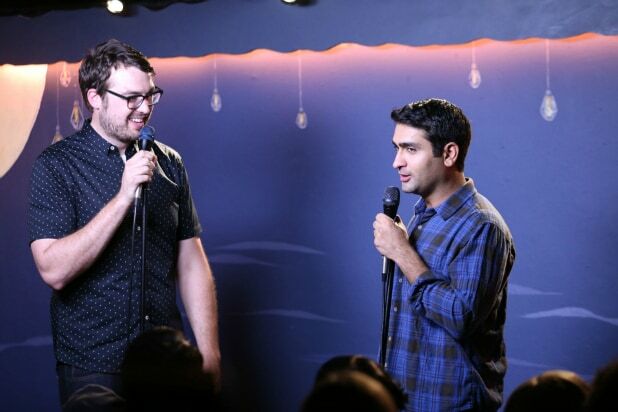 Comedy Central has renewed Kumail Nanjiani (“Silicon Valley”) and Jonah Ray’s stand-up show “The Meltdown” for a third season. The documentary-style series, shot in the backroom of Los Angeles comic book store Meltdown Comics, is set for eight new episodes. The third season is executive produced by Ray, Nanjiani, live show producer Emily V. Gordon, and Red Hour’s Ben Stiller, Debbie Liebling, Stuart Cornfeld and Mike Rosenstein. “Third time’s a charm!” said Ray, Nanjiani and Gordon. “The Meltdown with Jonah and Kumail” captures some of the biggest names in comedy as they experiment with new bits onstage and hang out backstage. The second season, directed by Lance Bangs, featured performances by Andy Daly, Fred Armisen, Kate Berlant, Kurt Braunohler, Hannibal Buress, John Early, Brett Gelman, Abbi Jacobson, Ron Funches, Ilana Glazer, Lauren Lapkus, Natasha Leggero, Al Madrigal, Joe Mande, John Mulaney, Aparna Nancherla, Chelsea Peretti, Paul Sheer, Nick Thune and Hampton Yount, among others. JoAnn Grigioni and Ryan Moran are the executives in charge for Comedy Central.